You are simply driving along and the only thing in abundance is sheep. And then BAM! There it is. Rising out of the hill before you. And it's massive! 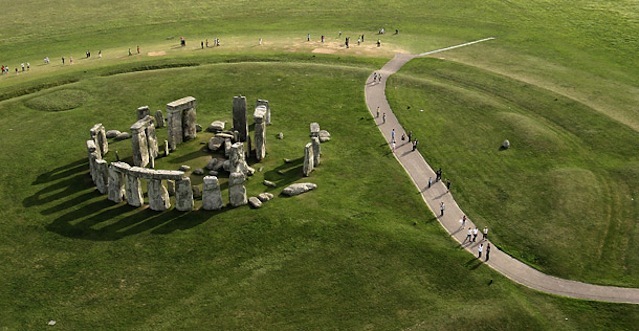 If this were in America there would be a sign at every curve in the road: "See Stonehenge! Exit in 5 miles, 2 miles, exit now!" 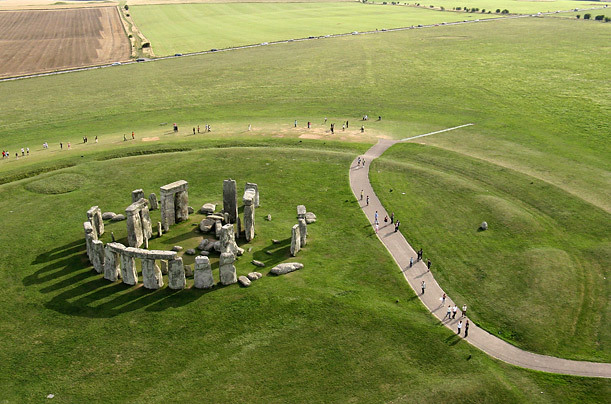 There would be a huge carpark, with people in reflective vests directing traffic, and the gift shop/restroom set up would be bigger than the actual henge. Instead you park in a gravel lot on one side of the road, pay a small fee, unless you're a National Trust member, and then proceed at your leisure (pronounced "leh-shur"). They also have headsets available to guide you around the grounds and provide some insight into this mysterious structure. It's a lot of guess work. The experts estimate it to be from around 3100 BC. That date baffles me. How in the heck did they,whoever they were, get these 13ft, 4 ton stone pillars, that possibly came from over 200 miles away in Wales, to this place, in this formation? Seriously! Whose job was that? 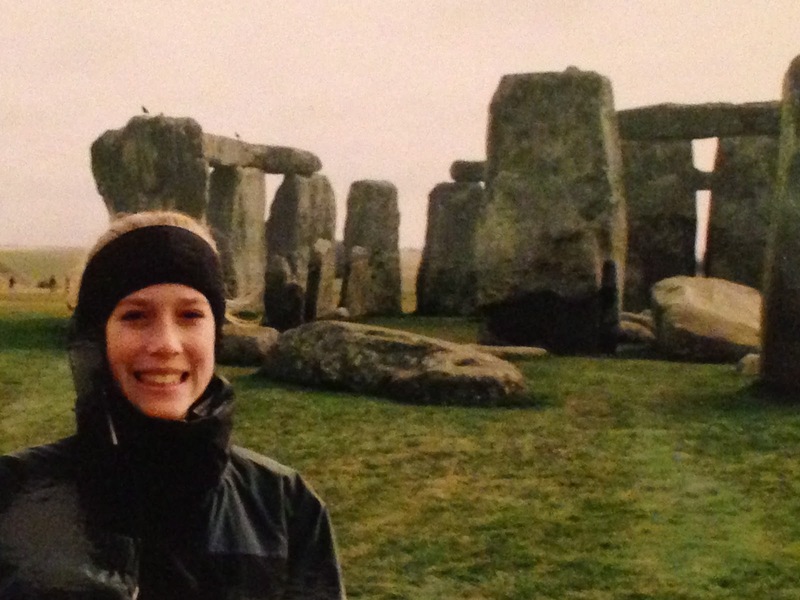 Stonehenge is a fascinating place to visit and the landscape is beautiful. While we were out that way we drove a little further to Bath in Somerset, England. This city is filled with Roman architecture and, of course, Roman Baths. 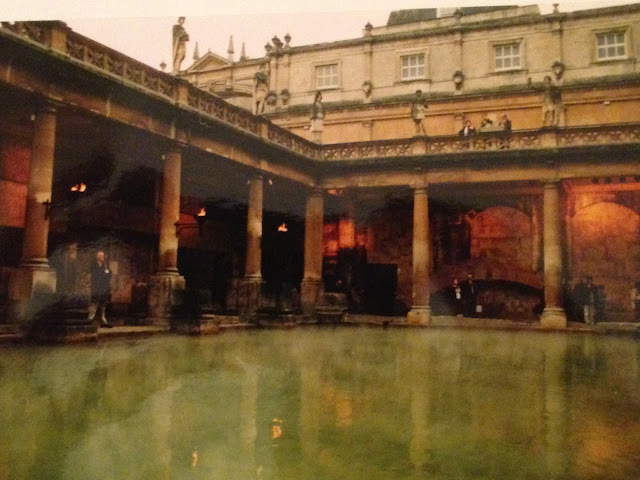 These baths are fed and heated by the only hot springs in the UK. 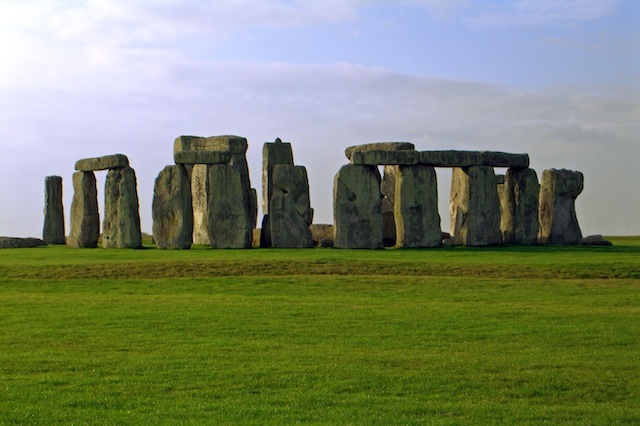 England is quietly proud of its history, the landmarks, and the attractions. She's not in your face with promotions and advertisements and huge welcome signs. These places still draw the visitors but instead of feeling like another tourist in line at an amusement park, you get to feel a sense of discovery. Of happening upon a place that's been left relatively untouched. Like maybe you're the first one to see it in a while. You could drive right past a place and never know the past lives it's seen and the secrets it holds. I love that about England. How beautiful! I hope I am able to travel to these places one day. Wow this is so cool! Would love to see it sometime. Never made it there either....my husband did and he was impressed. I really miss Europe....I bet you say that a lot too! While Stonehenge is impressive, I was more impressed by your three little pigs reference.. I had no idea Woodhenge was even a thing!